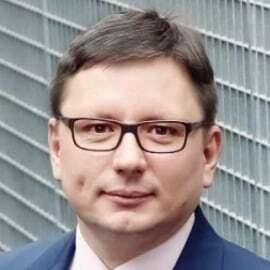 Rafał Milczarski is the President and Chief Executive Officer for LOT Polish Airlines since January 2016. As President and CEO, Rafał is responsible for leadership of company’s restructuring process to date and its strategic development plans, market strategy, day-to-day management , business development, improvement of company’s management structure , optimization of company’s operations processes ,cost optimization , introduction of meritocracy at the management level. In 2017, Rafał was elected as President of AIRiE (Airlines International Representation in Europe) association which represents mid-size airlines interests in European regulatory issues. Recently he was appointed also as President of Polish Aviation Group (PGL) which consolidates various aviation industry activities in Poland. He co-founded the Baltic Rail, one of the first private railway carriers of goods in Poland. In 2005, together with an industry investor Freightliner Group in the UK, he founded Freightliner PL – a freight rail carrier. As a president and co-owner he led the company from a start-up to the achievement of a few per cent share of the freight market in Poland. He is also the founder and former CEO of Freightliner DE - a German subsidiary Freightliner PL and the Association of Independent Railway.